The Dark Skies Discovery Sites (DSDS) program seeks to establish permanent relatively dark locations where the public can be educated about light pollution while being introduced to the wonders of the night sky. If you would like to have your site designated as an offical Dark Sky Discovery Site, please fill out the online Dark Sky Discovery Site Designation application form. WHAT THE DSDS PROGRAM IS ABOUT. Dark Skies Discovery Sites (DSDSs) are places where the public is educated about light pollution and its many negative effects in the context of being introduced to the exciting sights of a fairly dark sky. Astronomy clubs or individuals can earn the official DSDS designation for their location by agreeing to present, mostly at their own pace and schedule, an ongoing series of programs about light pollution. The major focus at each event must be on light pollution. What is the most direct, potent, visceral way to get people to feel a personal stake in the struggle to control and reduce light pollution? It is to show them the wonders of the night sky at a comparatively dark site while pointing out the extent to which each wonder has been rendered invisible or feeble by light pollution for everyone who lives in or near cities and towns in the area. Of course, it will also be important to point out at DSDS Events not just the views of astronomical beauty and interest being lost to light pollution but also how light pollution robs our pocketbooks, worsens global warming, decreases traffic safety and crime prevention, and endangers both flora and fauna and even human health. Many of these practical negative effects of light pollution can be mentioned at an indoor talk but even they become far more vivid and make a powerful impact when people can see light pollution for themselves at a DSDS. 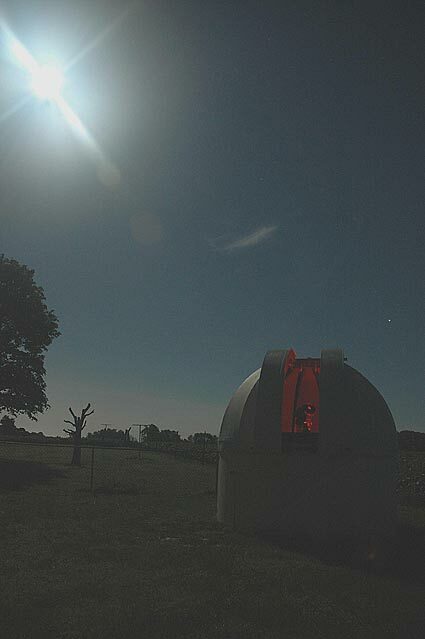 One of the most potent activities at a DSDS is to help people find the dome of sky glow from the city or town they come from and stun them with the information of how far away the city’s light pollution reaches and how many dollars worth of energy a year is being wasted by that city’s light pollution. HOW DARK DOES A DARK SKIES DISCOVERY SITE NEED TO BE? The one outstanding physical requirement for a DSDS is that it be darker than most locations where people live that are within 10 or 20 miles (15 to 30 kilometers) of it. We do feel that it is important to have a comparatively dark sky to qualify to be a DSDS. Although we do not want to discourage anyone from founding a DSDS (please see the end of this section for reassurance! ), the figure we are suggesting for the brightest acceptable limiting magnitude is one of about 4.8. This would suffice to show enough exciting naked-eye views for participants who come from the midst of a very highly populated, heavily light-polluted area. If you are not familiar with the concept of a zenith limiting magnitude or how to estimate it, or in any case wonder whether a site you have in mind is darker than magnitude 4.8, you can find the area of your site at Clear Sky Chart and figure out the approximate zenith limiting magnitude by checking on the light pollution map for a location near your planned site. The color-coded maps portray the most light-polluted areas in white and these have limiting magnitudes of roughly 5.0. Remember, the higher the magnitude number, the darker the sky. Thus, a DSDS near the edge of a white area on the map might be acceptably dark enough (still have a zenith limiting magnitude of 4.8 or dimmer). Taking a look at some of these maps for the largest metropolitan areas reveals that no one lives more than about 20 miles (30 kilometers) from a red or orange area where skies are darker than magnitude 5.0. It would certainly be desirable to locate a DSDS outside of the areas coded white. However, we do not want to discourage anyone from founding a DSDS. If after checking, you find you still would want to establish a DSDS at a location brighter than zenith limiting magnitude 4.8, contact us and we will discuss your situation. HOW TO ESTABLISH A DSDS IN YOUR AREA. 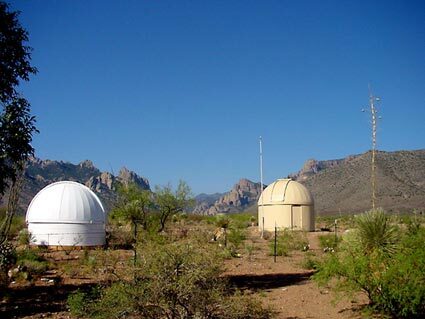 Whether you are a member of an amateur astronomy club or other astronomical organization, or just a highly motivated individual who loves astronomy and the night sky, there are simple steps you can take to obtain an official DSDS designation for an observing site in your area. After this initial step, the local organizer should contact one of our organizers with information about the presentations, including how many people attended, and about the location of the site. The local organizer will then be sent an e-mail that will allow them to download a DSDS certificate (suitable for framing) and an introductory packet featuring information on light pollution and on activities to try at DSDS Events. We will post this information in January 2009. The next step comes after the organizer of a new DSDS has held one or more DSDS Events (with activities of ones own choosing) and has amassed a total of 100 people having attended (once again, this could be 100 people at one Event or it could be 20 at a first, 40 at a second, and 40 at a third Event, totaling 100). At this point, the organizer can contact us for a second, richer package of free information and resources, including, as long as funding permits, a Sky Quality Meter (retail value $119-135) for directly measuring the brightness of the sky. We also hope at this point to be able to supply each DSDS with the PDF file of an official permanent DSDS sign to display at the site. HOW TO MAINTAIN A DSDS DESIGNATION. FEEDBACK FROM YOU AND CONTACT WITH OTHER DARK SKIES DISCOVERY SITES. We at the central office for DSDS greatly desire to hear from local organizers. We welcome all of your communications—whether they are about your questions, suggestions, problems, or positive progress. We also hope that all local DSDS organizers will stay in touch with fellow DSDSers in other parts of the U.S. and world through our web site. All of you will have much useful advice and experience to share with each other. By staying in touch, everyone will benefit and be inspired by the knowledge that they are participating in a major movement that is achieving widespread and significant progress in two intimately connected efforts: the battle to control and reduce light pollution and the crusade to bring the wonders of the heavens back into millions of people’s lives. The largest website for information about light pollution and good outdoor lighting is www.darksky.org—the website of the International Dark-sky Association (IDA). IDA is now more than 20 years old and has well over 10,000 members from around the world. We recommend that all would-be DSDS founders and organizers visit the IDA website and consider joining IDA and/or other organizations that support this cause. Here are more links to utilize for more information about light pollution and IYA 2009. PARTNERING WITH A CITY INSTITUTION. In order to get more people out of the city to visit a DSDS, it will be very valuable for each DSDS to try partnering with a science center, museum or another institution located in more highly populated places. We encourage the city location to do at least two things: 1) publicize their nearest DSDSs and DSDS events in their own shows, lectures, and displays: 2) actually allow local DSDS organizers to give one or more presentations at their institution. The DSDS presentation at the city location would be fundamentally different from one that was a “DSDS Event.” At the DSDS we will work under the darkest skies available.